Lovely landscapes with breathtaking views, delightful dark green valleys, rushing brooks and a fascinating coastland characterize this riding tour which consists of several day rides. This tour is with made-up beds. 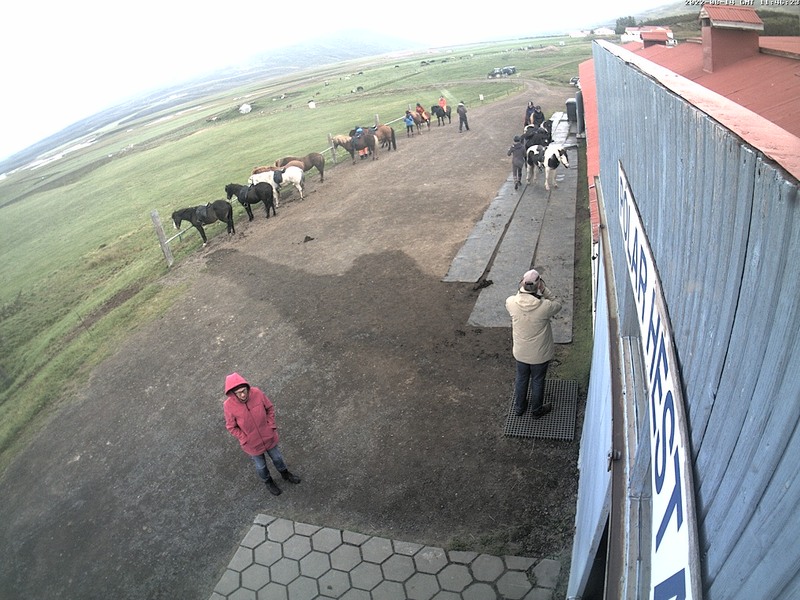 In the late afternoon transfer to our farmhouse Grýtubakki. We will have dinner together and talk about the programme of the next days. Overnight at Grýtubakki. After a copious breakfast we saddle the horses. A short instruction brings you into contact with your horse and off we go! We ride around mountain Höfði and enjoy the nice view out to the sea and the island of Hrísey, Iceland’s second biggest island. It is quite common to see minke whales, harbour porpoises, northern bottlenose whales as well as Humpback whales and dolphins. We ride close to the hill of the ravens “Hrafnabjörg” and under us is the valley of the cows – we will tell you more about it! We will be in the saddle for about 4 hours. Coffee and cakes await us at Grýtubakki. After coffee we drive to the fishing village of Grenivík and enjoy a warm bath in the swimming pool. After breakfast we saddle up for a day tour. We will ride to Grenivik, the little fishing village, close to our farmhouse and from there along the coast of Látrarströnd. The North Sea is greeting us! We ride above steep cliffs, through luxurious meadows, clear brooks and impressive valleys. We will have our lunch close to the ruins of the farmhouse of Svínarnes: witnesse of a bygone age. In this area the young horses of the farmers are spending the summer and they are very curious! They will probably have a look at our sandwiches! We take the same way back to the farm. This will be a 4 - 5 hour-ride. Back at Grýtubakki farmhouse we enjoy coffee and cakes and afterwards you are welcome to relax or start a farm-mini-golf competition! We ride into the valley of Fnjóská. The river Fnjóská is the longest freshwater river in Iceland. About 10’000 years ago there was a glacial lake in this valley. The shore of this lake is still visible in the slopes of the mountains. We are riding on wide sheep tracks, over gurgling brooks, through moorland and into the amazingly green woods of Skuggabjörg. We will be in the saddle for about 5 hours. Coffee and cakes at Grýtubakki and off we go for the swimming pool in Grenivík. Today we combine the area around the river Gljúfurá and the rise above Grýtubakki. The ride leads us over sandy paths, marshy country and over moorland. Birdwatchers get their money´s worth as whimbrel, golden plover, common snipe and a variety of ducks are mostly to be seen. We have a beautiful view over the fjord Eyjafjörður where the river Fnjóskà flows into the sea and also to Helguholl, the holy hill. People in the area say that under the hill there is a ship full of gold from the old vikings. If somebody tries to get the gold, all churches which are visible from the hill will burn down. Nobody has tried to dig, not yet! Over soft sheep tracks and continuously changing landscape we reach the rise above Grýtubakki farmhouse. From here we have a tremendous view in all directions! With a ride close to the idyllic valley of the Elves our trip today comes to an end.We will be in the saddle for about 4 – 5 hours. Coffee and cakes will be ready for you at Grýtubakki. After breakfast we say good-bye to our guests. Transfer back to Akureyri.